Glass salt cellar filled with coarse sea salt, photographed against an aqua colored tablecloth. 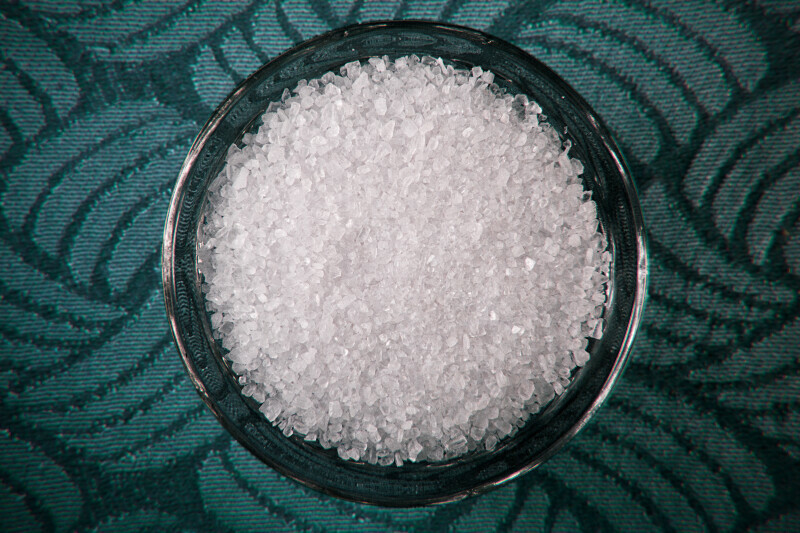 Salt cellars were the typical means of making salt available on the dinner table from the middle ages through World War II. Since then, they have commonly been replaced by salt shakers.